“It’s the first rye India Pale Lager available at stores on the West Coast that I’m aware of,” said Trent Yackzan, co-owner of the 25-year-old brewery that is redefining the American lager. Rye of the Lager is the culmination of more than a year of trial batches, in search of the perfect balance. Last fall’s small batch released at the Sudwerk taproom, The Dock, was so well received, “we knew this was the beer that should become our next year-round West Coast lager,” Yackzan said. 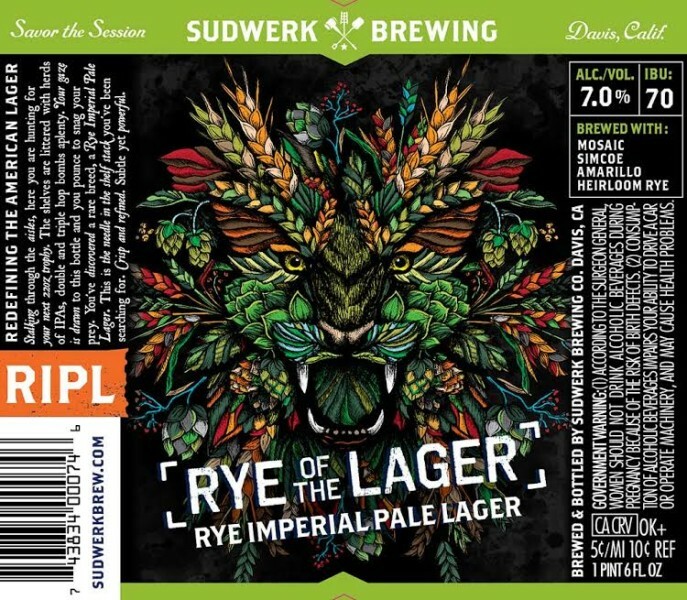 Sudwerk Brewing Co.’s Rye Imperial Pale Lager will be available throughout California, in 22 ounce bottles, starting in early August. Suggested retail price $5.99 to $6.99 per bottle. It’s also available in 15.5 gallon and 5.17 gallon kegs. Sudwerk will host a release party for the beer from 4 to 8 p.m. on Friday, July 31 at The Dock, 2001 Second St.
Building on 25 years of family legacy and brewing tradition, Sudwerk Brewing Co. specializes in artisanal craft brews, specifically West Coast craft lagers. Its taproom, The Dock Store, at 2001 Second St., Davis, Calif., is open from 5 to 8 p.m. Tuesdays, 4 to 8 p.m. Thursdays and Fridays, and 2 to 8 p.m. on weekends. It offers a rotating menu of experimental and innovative beers, “honest pints” and growler fills, fresh White Labs brewers’ yeast, and good conversation.